Are you experiencing a toothache or gum discomfort? 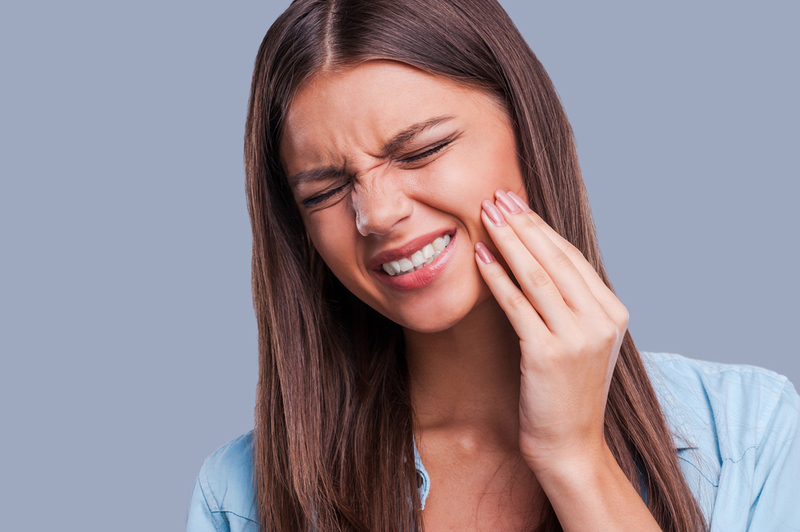 There are many possible sources of your dental pain, the most common of which could be a cavity or inflamed gums. But your toothache could be signaling more than just your average cavity. Consider these possible causes of your pain and schedule a dental check-up to review with your dentist. If you think you’re experiencing a dental emergency, including trauma that needs immediate attention, don’t hesitate to call your dentist in Celina for an emergency appointment. What’s Causing Your Dental Pain? 1. Cavity: A toothache can be a symptom of a cavity, which is the most common form of tooth decay and typically the most common dental ailment experienced by both children and adults. A cavity is a small hole in your tooth. Don’t ignore the toothache! If left untreated, your cavity can expand and worsen to cause further damage to your tooth. Visit your Celina dentist to have the cavity filled. 2. Gum disease: Gum disease is one of the most common diseases experienced by American adults. The condition starts as inflamed, swollen or tender gums and can advance to different forms of periodontal disease, including gingivitis and periodontitis. Gum disease is not a small concern to be ignored: It can lead to bone loss, a receding gum line, and tooth loss. 3. Damaged prosthetic: You may experience discomfort if one of your dental prosthetic fixtures, such as your dentures, has become damaged or loose. 4. Advanced tooth decay: Severe dental pain can be a symptom of advanced tooth decay. Tooth decay can lead to serious infection that requires root canal treatment or possibly extractions if the damage is too severe and affects the health of your gums and jawbone. 5. Dental emergency: Did an incident or unexpected trauma cause your pain and discomfort? You could be experiencing a dental emergency that requires immediate dental attention. Dental emergencies can include a knocked-out tooth, chipped or cracked tooth, a displaced prosthetic, and more. Act fast and call your dentist for an immediate appointment.